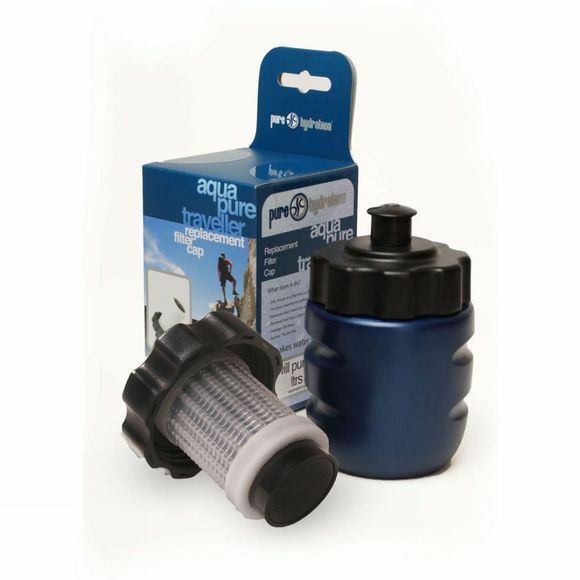 Replacement water filter cap for the Aquapure Traveller (APT) water filtration and purification bottle. The Aquapure Traveller is designed to provide water that tastes good and is safe to drink anywhere. Each water filter can produce up to 350 litres (depending upon water turbidity) of safe, palatable and potable drinking water from any available fresh water source.